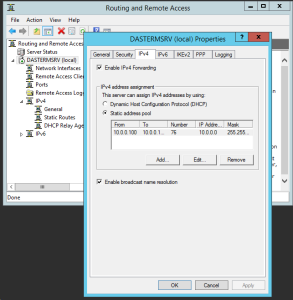 Turns out I neglected to define a DHCP scope for the server to hand out addresses from when the VPN client connected. 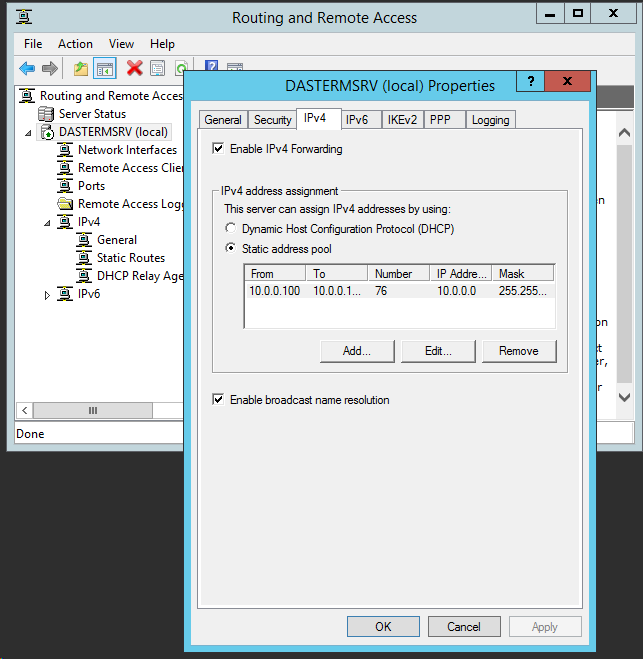 On the Windows 2012 R2 server, run the Routing and Remote Access (rrasmgmt.msc). Right click on your server name and choose properties – then the IPV4 tab. Give yourself some IP addresses in that range (ideally that your main DHCP server isn’t planning to hand out. Consider a smaller VPN range outside of the main range) and move the IPv4 address assignment over to your new Static Address Pool.